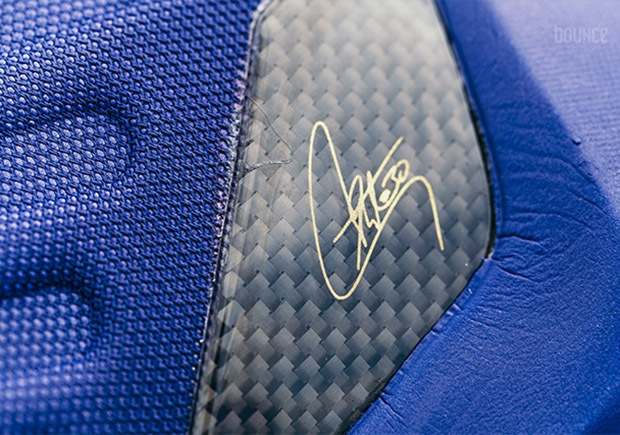 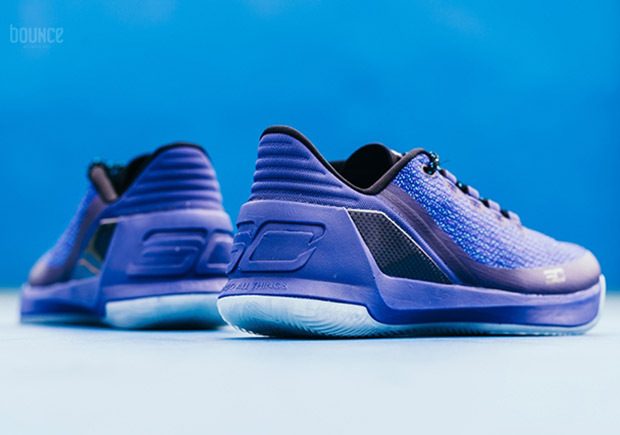 Just in time for NBA All-Star Weekend where Steph will no doubt be showcasing his talents, Under Armour is set to drop his third signature model in its new low-top edition. 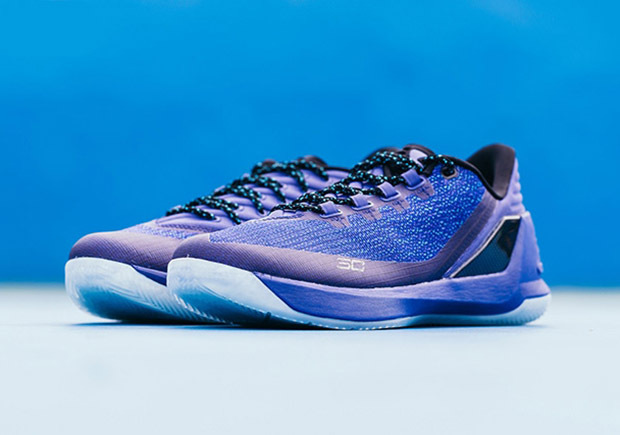 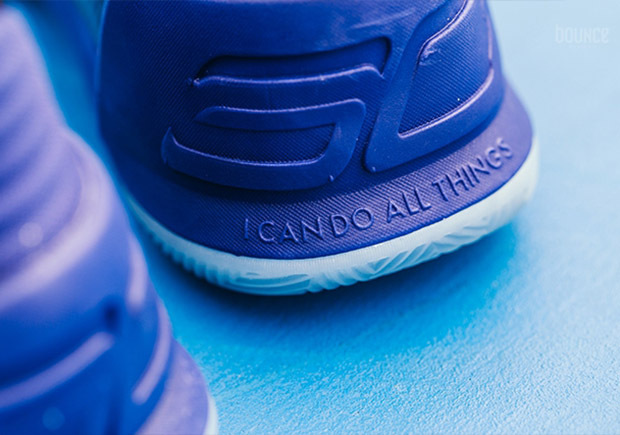 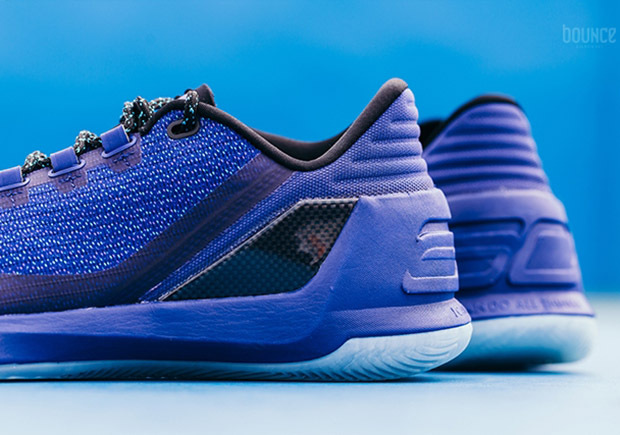 The Curry 3 Low debuts this Saturday in the colorway you see here, which seems to be a reference to his dad’s playing days with the Charlotte Hornets. 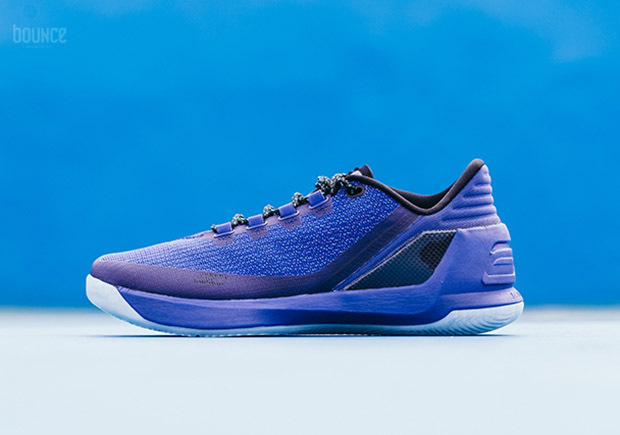 Since the All-Star game was originally scheduled to take place in Charlotte before the NBA decided to move it in protest of North Carolina’s controversial “bathroom bill”, it’s quite possible this colorway was originally meant to pay homage to the host city, but Under Armour just decided to keep it on the same All-Star release date, despite the festivities moving to New Orleans. 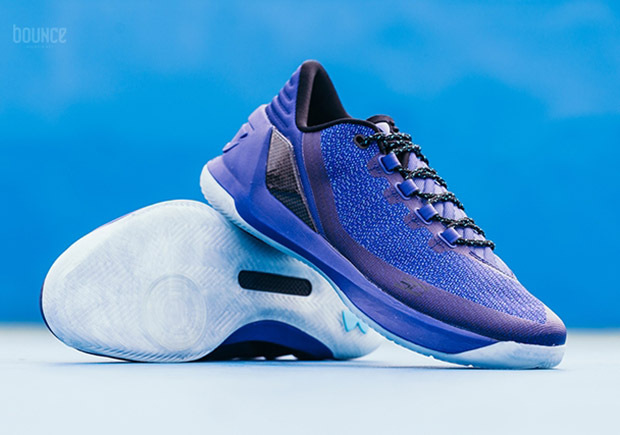 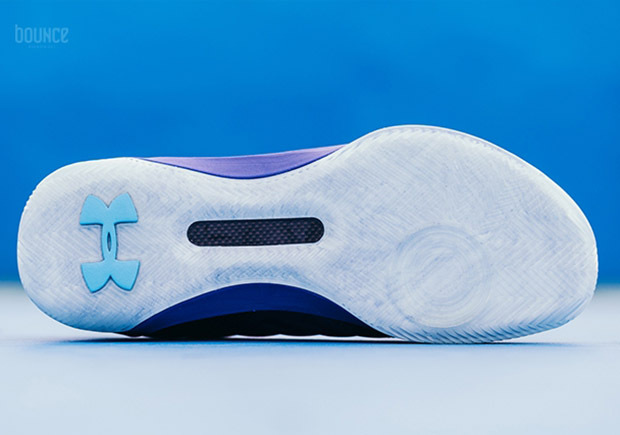 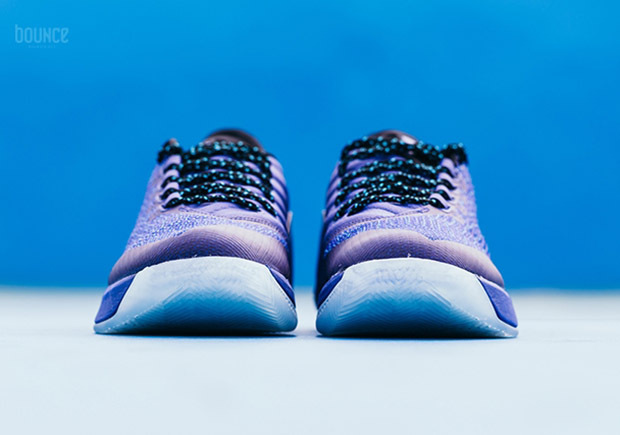 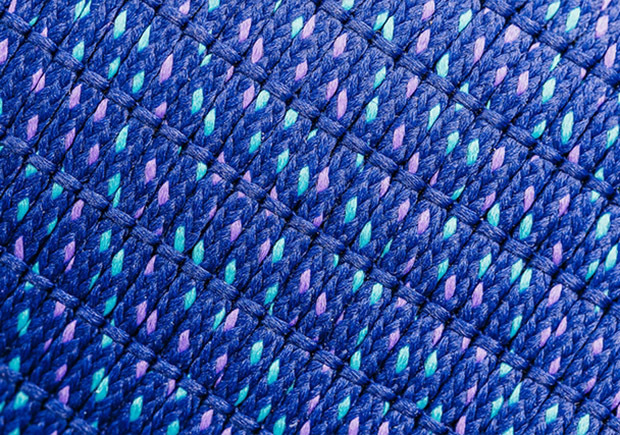 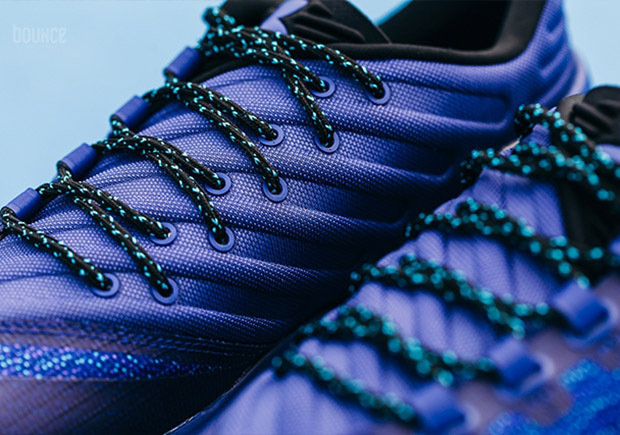 Whatever the case, you can get a detailed look at the shoe here, featuring a tech knit upper in purple with teal flecks and an icy translucent sole. 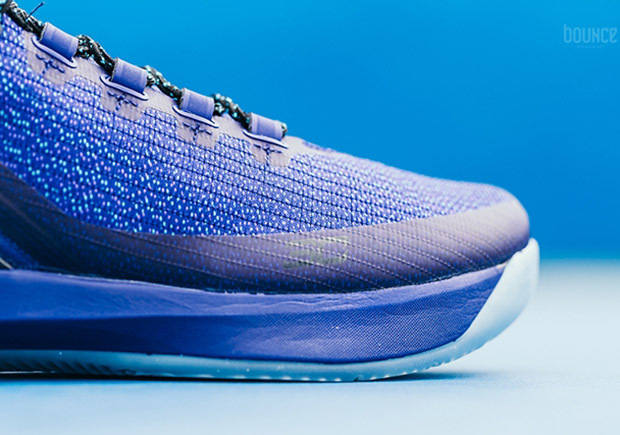 The Curry 3 Low “Hornets” drops this Saturday, February 18th at UnderArmour.com and select retailers.